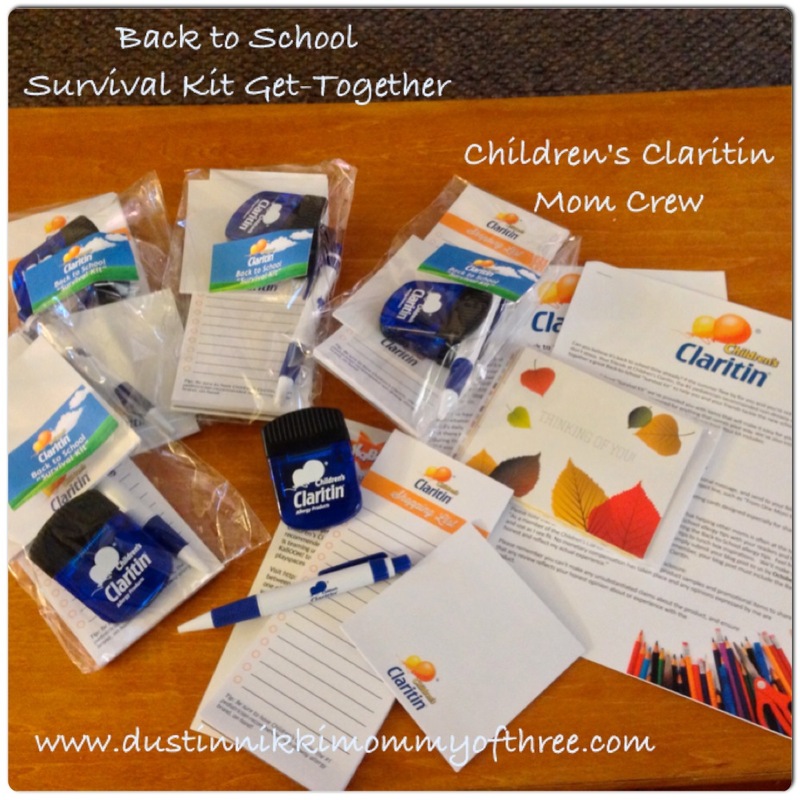 Since being a member of the Children’s Claritin Mom Crew, I have received a few opportunities to receive a kit of products and samples to share with my other mom friends with children with allergies. 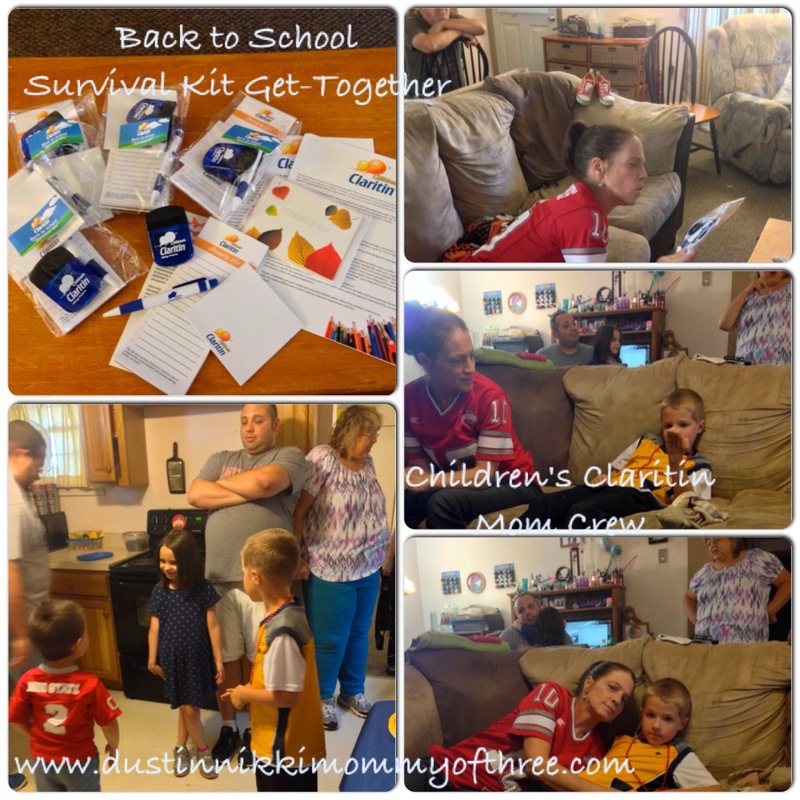 The most recent get together we had, I was sent a kit with 5 back to school survivor kits that included allergy tips, sticky notepad, shopping list pad, magnetic clip and an ink pen. Most of the parents I know with kids with allergies already use Children’s Claritin so for the most part, we just talked about allergies and what we were expecting this fall. The kids had fun, they played outside mostly so having this get together gave them a chance to play together. I was talking about our son who plays soccer has been having his nosebleeds again every time he is out running around. That’s been a real nightmare. Poor kid only gets halfway through the game and he sits with a bloody nose. One of the other parents were saying the same thing about theirs. The air seems to be really dry around this time around here and even though allergies don’t actually cause nosebleeds, they have a better chance of getting them due to having allergies – if that makes sense. So of course we use saline spray or mist anytime he goes outside. We also try other things such as removing shoes when coming indoors because they can track pollen through the house. One the parents never even thought about that before so that was helpful. Placing a wet washcloth over eyes and relaxing them also helps my son when his eyes are really itchy and a bit watery. So we had a pretty informative get together and shared some tips that some of us may not have known or tried and also learned some new ones from the survival kits that I passed around. See below for some more tips! Be sure to have Children’s Claritin, the #1 pediatrician-recommended non-drowsy allergy brand, on hand! Multi-vitamins are building blocks to having a strong immune system. Make taking a multi-vitamin part of your child’s daily routine. Let there be light! Mold doesn’t like sunlight, so try to keep your curtains open during the day. Should be easy during the summer months! Did you know that most pillows trap allergens, dust mites, and bacteria? Monitor the cleanliness of the pillow your child with allergies sleeps on and replace if necessary. 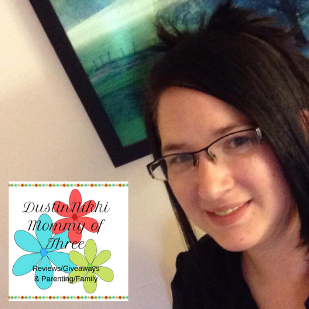 Back to school season means lots of laundry for many moms. Be sure to remove laundry from the washing machine promptly. Allowing wet clothes to sit in the washer means mold can quickly grow there. Monitor pollen counts and adjust outdoor before and after school activities accordingly. Dry, windy days can be particularly high in pollen. Showering or bathing at the end of the day as opposed to the morning can be helpful in removing allergens from body surfaces and hair. Stay hydrated! Always send your child to school with a bottle of water. Drinking lots of clear fluids through the day can help get rid of toxins and flush out body. Peak pollen production typically occurs in early morning, so try to plan outside activities at other times of the day. Disclaimer: As a member of the Children’s Claritin Mom Crew, I receive product samples and promotional items to share and use as I see fit. No monetary compensation has taken place and any opinions expressed by me are honest and reflect my actual experience. 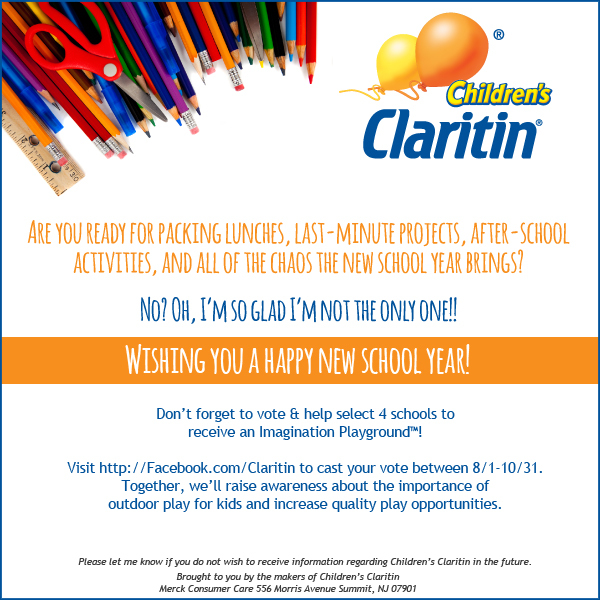 Children’s Claritin and KaBoom – Help 4 Schools to Receive an Imagination Playground!